Concurrently Troppo created a 32 dwelling development at Coonawarra Navy base, where the same principles for dwelling type mix and their disposition around the site enabled fit with topography, view opportunities and breeze penetration. This project has been published as an exemplar of environmentally responsible site planning. Views. A subsequent undertaking, again for DHA, was a masterplan for renewal of all housing stock at Darwin’s RAAF Base. The plan resulted in 300 dwelling upgrades and infill medium density and project housing. ...Finally, this same approach was extended to upgrades and infill projects in smaller DHA-held precincts in suburban Townsville. 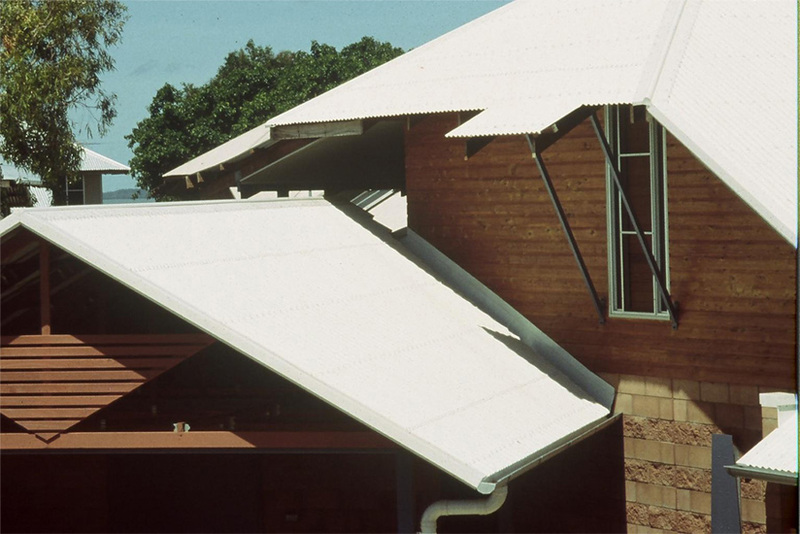 All DHA work proudly extends northern Australian traditions of tropical housing.